6 Creative Banner Types to Consider. When it comes to increasing business, let your mantra be this: “signage sells”. Signage can increase awareness, spread the word about your business, products, and/or services, and attract new customers. Basically, banner signs are a brilliant way to broadcast your message to the world. If you’re new to banners, or are perhaps considering trying a new type of banner sign, this post is perfect for you. Here, we’ll explore six creative types of banners that are a little bit different and bound to attract attention. Whether you’re just looking into a banner for the first time or just want to add to your suite of signage options, these creative banner types will provide some inspiring new options for advertisement. 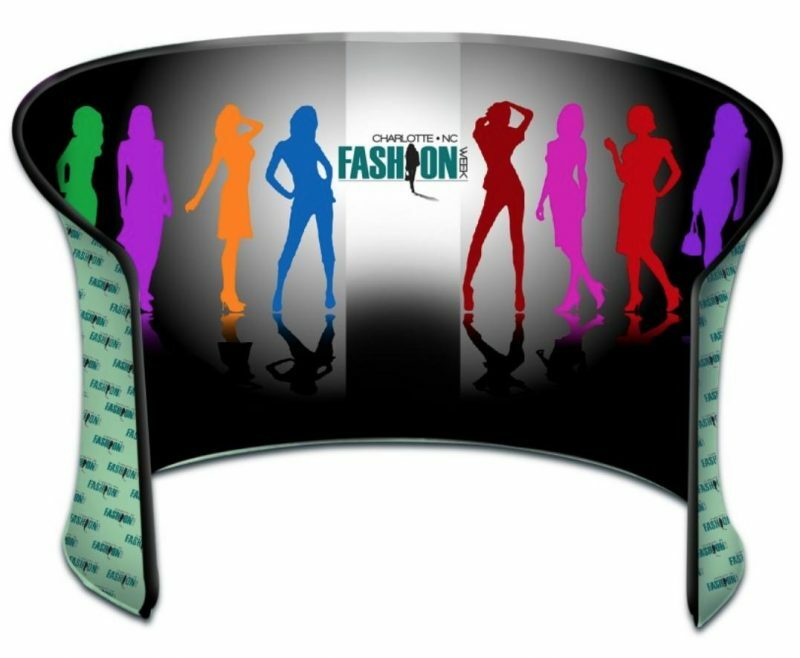 One of the newest innovations in the Above All Advertising collection is our trademarked UFO Screen™banner. With an eye-catching design, this banner is form-fitted around a unique structure which allows for simple setup and lightweight, easy transport. Truthfully, the format allows it to act not only as a sign but as a full brand experience. Its unique shape will entice customers to visit, whether it’s at a trade show or an event. Once they walk in, it’s almost like an oasis from the crowds, allowing customers to immerse themselves in your company culture. It provides the perfect opportunity to show people who you are by provoking curiosity and receptivity. Another recent innovation in the Above All Advertising collection is our Twist X™Banner. 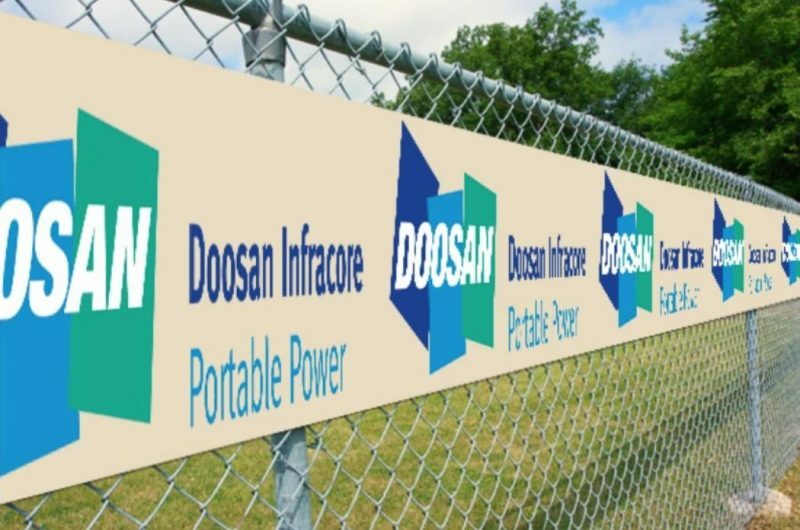 This banner system provides the perfect opportunity to promote your company’s name by printing a logo on fabric which is printed vibrantly and easy to read, and which can be installed indoors our out using our In-Ground Twist X™ Banner System, which allows it to stay put wherever you decide it will allow maximum impact. This sturdy and well-designed system is bound to offer long lasting impact, creating brand awareness and giving your business a powerful visual impact. Easel banners are second to none when it comes to effective, easy-to-display, simple setup solutions for businesses. They are easy to assemble and take down, carry and store. They’re ideal for uses like displaying in retail settings, where they can be moved on demand or carried in and out of doors on a daily basis. 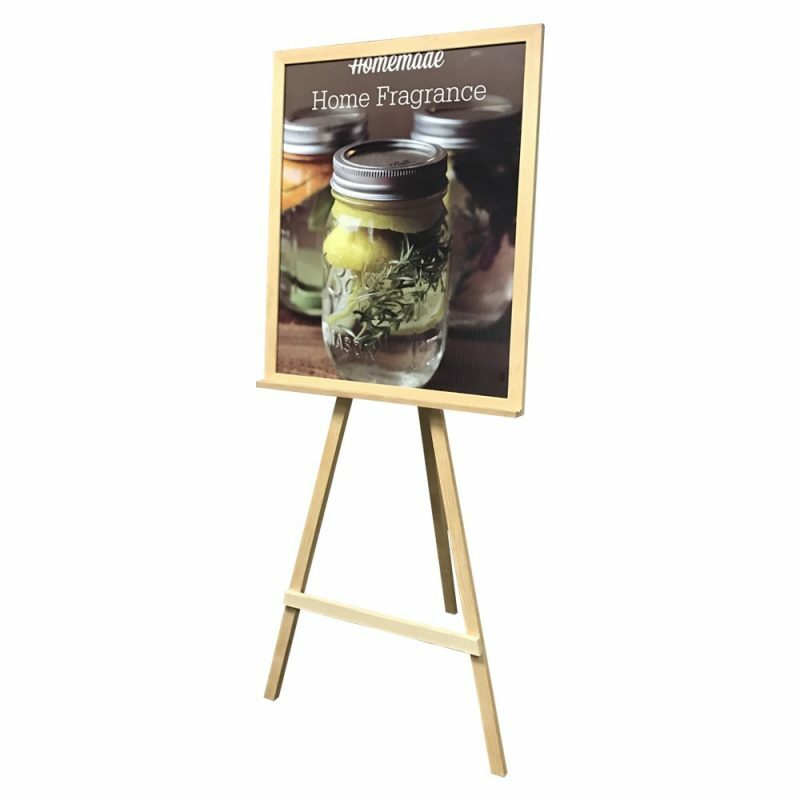 To create a visual effect that’s a little different for your easel banner setup, consider our Wooden Easel Banner. As a presentation aid, it’s classy, with a striking wooden frame that has a unique, boutique look. The graphics of your choice can be slid into the frame with ease, instantly making them look like an artistic masterpiece. At about 30 inches wide by 71 inches tall, the entire display is sized to be noticed. If you want to take your advertising to the next level with maximum reach, consider a Boulevard Banner. Available in a number of different sizes and formats, these boulevard banners will take your message to the streets--literally. Designed to be hung high and outdoors, a boulevard banner is a striking and attention-grabbing advertising tool which people will encounter while driving or walking by; they work particularly well on well-trafficked streets, schools/campuses, and can provide great advertising at trade shows, too. 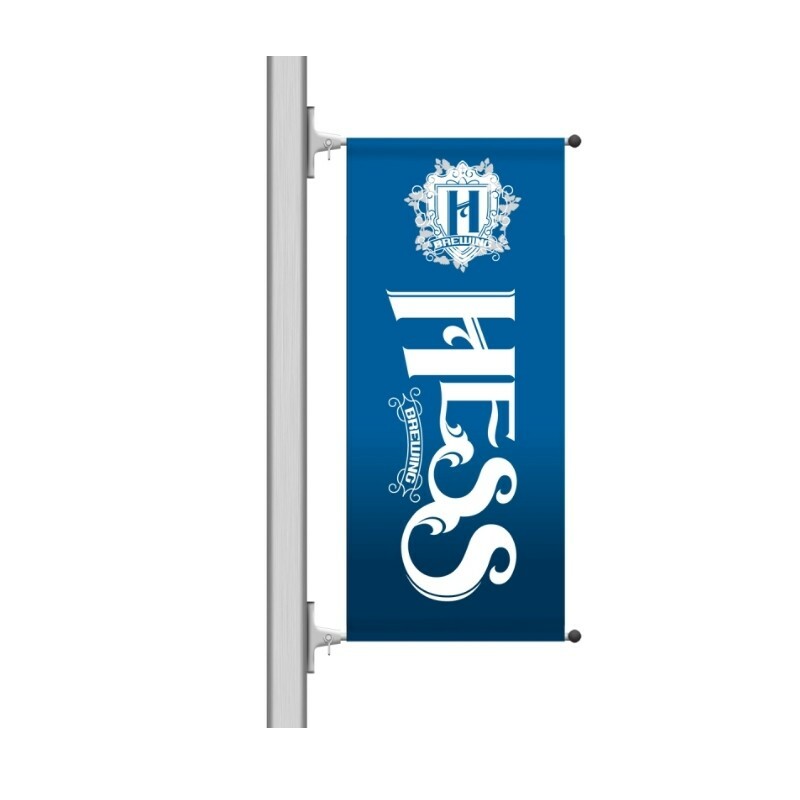 The scale and location of a boulevard banner makes it noteworthy, and sends a message of professionalism and sophistication to everyone who encounters it. Your banner can be used to showcase logos, messages, events, or products of your choosing. With a great use of space and an engaging display format, boulevard banners are creative yet classic, and are bound to increase interest in your business or organization. Retractable banners are second to none when it comes to ease of transport, simple setup, and maximum visual effect. Available in all sorts of sizes and configurations, they are an accepted industry standard when it comes to quality signage. However, if you’re looking for a retractable banner which stands out, consider the Standee™ Retractable Banner. This is a highly customizable banner option which allows customization in the shape of the sign and how you treat it visually. A custom cut-out shape really allows you to make a presentation that pops. We’ve created such signs for a variety of different companies, from breweries to tech companies, with wide-reaching but universally applauded results. If your business travels or takes part in seasonal, outdoor events, our customized banner roll (pictured at the top of this post) will provide an enticing prospect for advertising. These customized rolls are printed with graphics of your choosing, which can include full bleed and full color. The long, large roll can feature alternating logos, text, and graphics, all on the same roll; when you’re ready to use, simply unroll as much as you like, cut off the portion, and display. Available in the size and length of your choosing, these rolls creatively and effectively allow you to broadcast your brand at events, and are incredibly easy to assemble and display. Perhaps most conveniently, they’re disposable, so after the event, you can simply discard that portion of the banner and unroll a new portion next time. This is a fantastic option if your business travels or goes on the event circuit. The banners are ideal for indoor or outdoor use, and can be especially useful at concerts, race or sporting event tracks/fields, and festivals...and that’s just to name a few possible uses. Conclusion: Banners are an extremely effective way to advertise your business. But to really gain maximum impact, consider one a banner type that is just a little off the beaten path! These six creative banner types provide interesting and slightly unexpected advertising formats which are bound to gain attention from passers-by, thus increasing overall interest in your business, which can result in what just about every business craves: increased sales! Have you ever used a banner in your advertising efforts?